Ah, the humble mouse. Enabler of functions, the bridge between human and machine, and, evidently, the cause of much discomfort for millions of users the world over. With repetitive strain injury a major health problem linked to PC use, the long awaited Smartfish ErgoMotion Mouse is hoping to alleviate the pain. It features a tilting base that swivels in unison with a user’s natural hand and wrist movements, promoting circulation and comfort with the aim of reducing injury. Built around the principle that healthier computing is achieved through movement, the ErgoMotion Mouse automatically adapts to a user’s natural hand and wrist positions, increasing circulation and comfort while reducing strain. 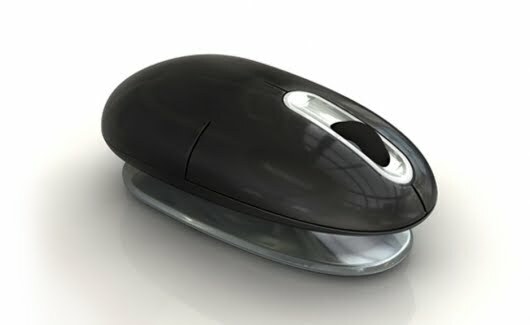 The ambidextrous laser mouse has a four way scroll wheel as well as forward, backward and lateral pivots which create a “wave like” fluid movement. USB connectivity is courtesy of a small 2.4GHz dongle. Smartfish Technologies CEO Dr. Jack Atzmon founded the company with the purpose of offering solutions to reducing repetitive strain injury by creating a more comfortable and natural feeling way to interact with computer peripherals. Designed in collaboration with New York’s Hospital for Special Surgery, the ErgoMotion Mouse will feature at the upcoming CES (Consumer Electronics Show) in January as an Innovation Award recipient. With an ergonomically designed keyboard counterpart due for a release in March 2010, the ErgoMotion Mouse is available now from Smartfish for US$49.99.